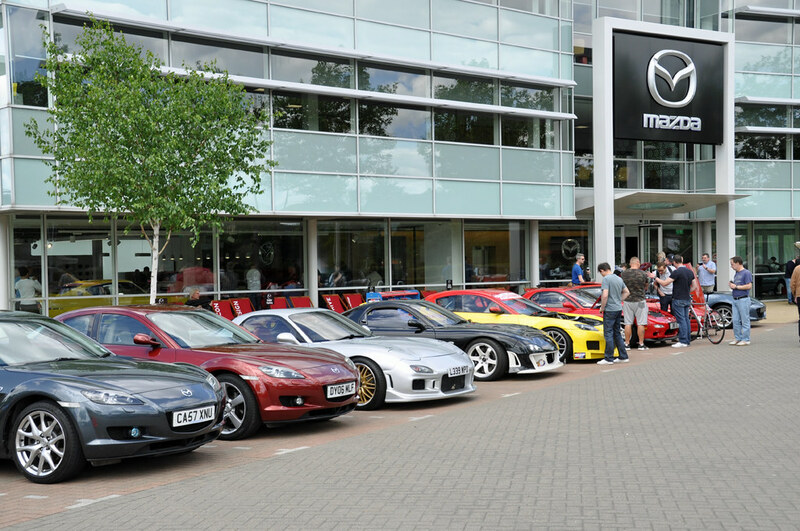 Mazda UK have kindly agreed to host a celebration of the 40th anniversary of the launch of the RX-7 at their HQ in Dartford on Saturday, 7th July. Full details of the schedule are yet to be finalised, but expect a fun day out, with a few special cars to drool over in the Mazda Heritage Collection. They’ll be food and drink available onsite, a few deckchairs and probably some music and games/quizzes too. The “Mazda Fans” weekend last year was well attended and much enjoyed, so expect a similar experience and vibe for this year. The team at Mazda Rotary Club are liaising with Mazda UK to finalise details, but attendance is free and open to all Mazda rotary enthusiasts, regardless of car ownership or club membership. All that we ask is that you register your interest in attending asap by providing your full name and email address to team@mazdarotaryclub.com,along with the names of any passengers you intend to bring along. These details will be passed to Mazda to send out further information of the event in due course. The details you provide will be used for the sole purpose of communicating with you about this event. Me and Maria would like to attend. Email sent. But i can always do with some help now due to, my advancing years! Yep im in..trip outta Wiltshire. Hopefully Fb!!! Maybe..get mechanicals done and mot...long trip for a car been in garage 18plus years..send email tomoz. If anyone is on any other RX-7 forums, please spread the event on there .